This new academic year carries with it excitement at many levels and many new beginnings. 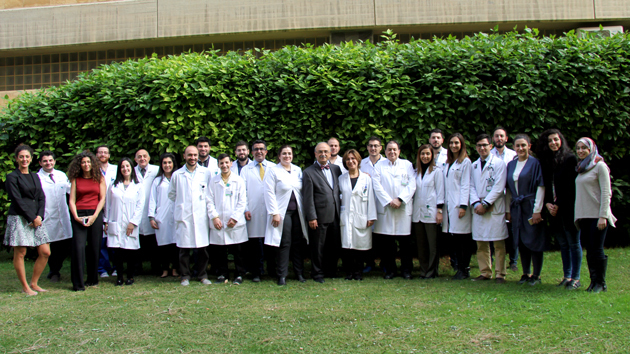 While we welcome you on board, we are happy to inform you of the expansion of our hospital bed-capacity, establishment of new departments, addition of new high caliber full time faculty members in medical and surgical specialties, expansions of our affiliated network and the addition of new campuses to that of LAU Medical Center - Rizk Hospital. Our mission at Graduate Medical Education Office remains unchanged. We are committed to provide residents with ACGME competency based -residency training by the end of which they will acquire in depth knowledge in the fields of training, clinical skills, ability to perform various procedures and the ability to safely practice medicine independently. Furthermore, residents will acquire well-rooted ethical behavior and professional conduct with a clear sense of social responsibility and resource sustainability. I wish you all an enjoyable residency training. The GME office will be closed Western and Eastern Easter. Two positions in PGY2 Internal Medicine is now open. Interested candidates to contact the GME office for the required documents. Deadline is April 30, 2019.